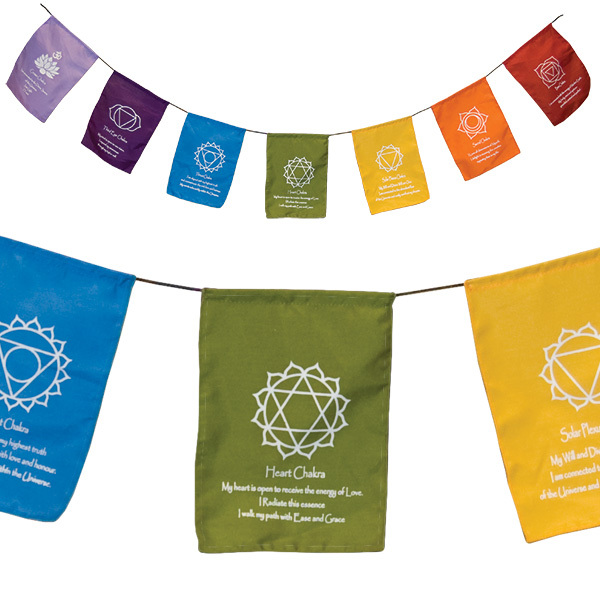 These lightweight flags each feature a Chakra symbol with inspirational text. 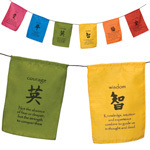 The seven coloured 15 x 20 cm flags (red, orange, yellow, green, blue, purple, violet) hang along a black woven cord. 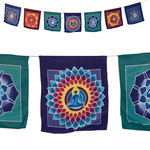 Flags are often hung in a meditation room, bedroom or in the back yard as a mindful garden accent. 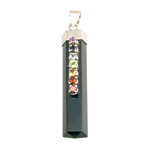 Base Chakra (red) - I am connected with the energy of Mother Earth. 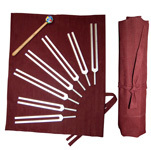 My body, mind and spirit are grounded, centred and purified. 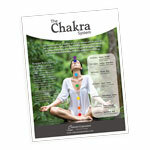 Sacral Chakra (orange) - I Love all dimensions of Myself, I delight in weaving the creative tapestry that is my life. 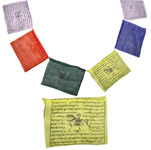 Solar Plexus Chakra (yellow) - My Will and Divine Will are One. I am connected to the abundant flow of the Universe and easily manifest my dreams. Throat Chakra (blue) I am aligned with my highest truth and communicate this with love and honour. My words echo softly within the Universe. 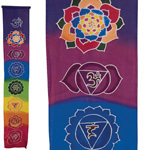 Third Eye Chakra (purple) - My mind is open to new vision. I expand my awareness through my higher self. 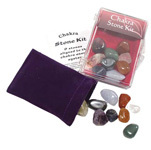 Crown Chakra (violet) - I am connected to the Divine Source of the Universe. I am Light. I Trust.